Ace Hardware carries everything you could want in hand tools, power tools. and safety equipment. Whether you need a post level for that new fence you’re building, or a replacement filter for your Shop Vac. We have every tool for whatever the job at hand. 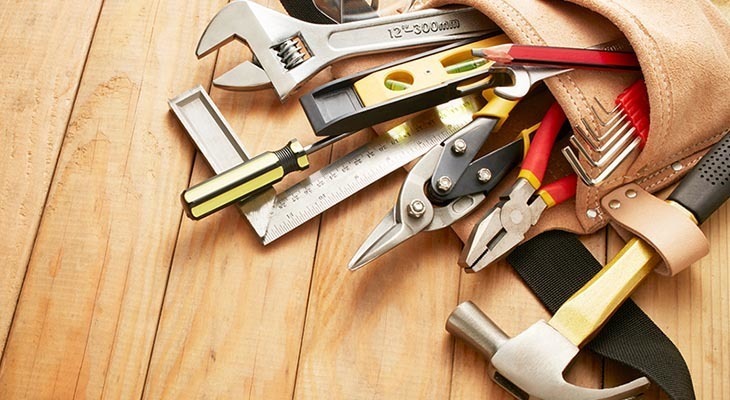 We have the hand tools you need: tape measures, clamps, hammers, pliers, wrenches, sockets, and utility knives to name a few. We have the power tools you need: drills, circular saw, jig saws, reciprocating saws, belt sanders, orbital sanders, and routers. We have safety glasses and masks and knee pads and gloves and hard hats. When you come in to Ace Hardware you can expect to get the service to make sure you get the right tool the first time, so you can get on with your project.